This time last year. What a cute, put-together family were. I can’t believe we only have a couple of weeks until Christmas! This time last year Peter had a a full-time job and we were lucky to get a full Saturday with him. When we did get our Saturday’s we were the cheese ball family who got super dressed up for the $10 Santa photos. The photos that you get one take, and you’d better hope it was a good one. 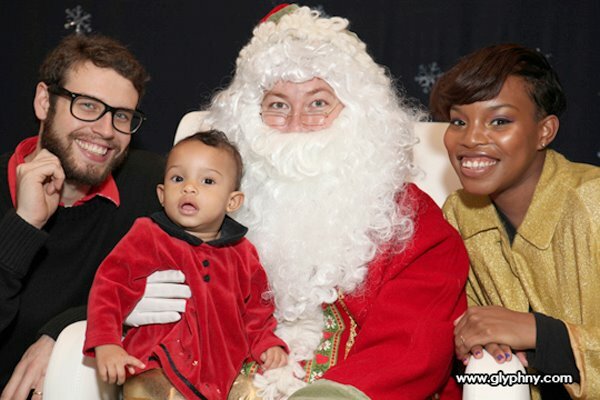 River didn’t mind the ol’ white haired man in the red suit. I had so much time on my hands and within two weeks of December hitting, I did everything one could possibly do as far as holiday festivities went. I loved every minute of it. This year is a bit different. We are both freelancing and working overtime… taking every job as it comes. Which means our lives are not so put together at times. Oh, you silly life you. Anyway, this year our girl is not fond of that chuckle-y, gentle man. While husband was doing his videographer thing at a holiday concert, I underestimated the grip of a stubborn almost 2 year old and attempted an actual Santa photo-op. That severely underestimate grip did not let go until we were a couple feet away from that scary old man (according to River). At least I smiled right? Please share links to your Christmas photos below if you’d like.